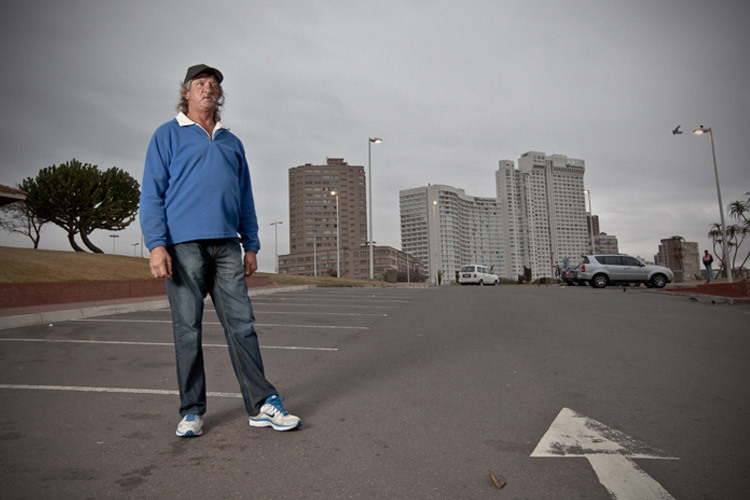 I took up surfing here in Durban a couple of years ago and have come to understand the unique relationships that have developed among the patrons of our world famous beachfront and the car guards who patrol there. 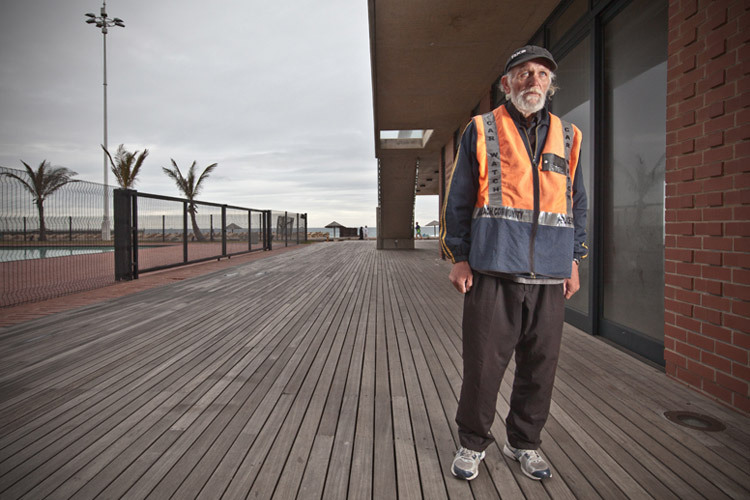 A real sense of community has grown between the guards who watch over the parking lots and the surfers who frequent the numerous breaks along the promenade, known as the Golden Mile. The very mention of the “car guard” brings negative connotations to mind. Pesky individuals who pop out of nowhere when you have been in the Spar for only five minutes or the Houdini that disappears when your car’s actually been broken into. Yes, some of them can be a nuisance, but venture down to the parking lots of uShaka, North Beach and the like, and you will be pleasantly surprised by the great services these hard working ladies and gentlemen offer our community. 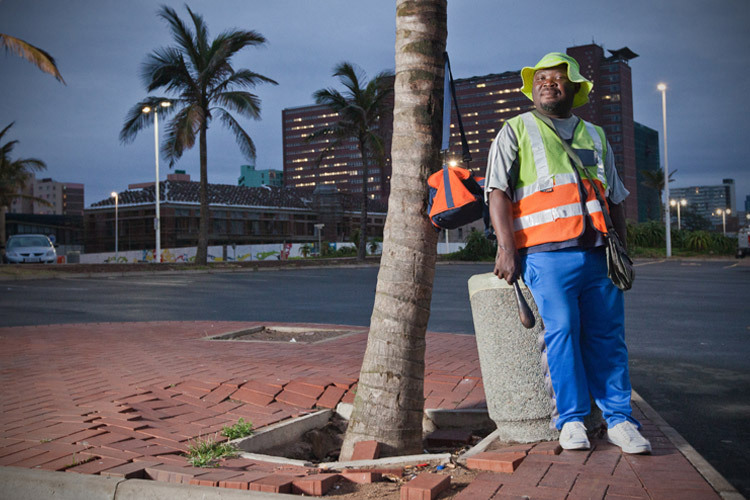 The car guards that ply their trade along the Golden Mile are known to go beyond the call of duty, thanks to the trust that has been built over time between them and their “clients”. The modern surfer has one major issue when it comes to parking their new age vehicle and jumping into the ocean. The remote key: an electronic device that is not water friendly! But this is not a problem at the major surfing beaches. Every day, numerous beach goers hand over their car keys to the guards in full confidence that their belongings are in good hands. An amazing interaction if you consider the approach most of us take towards crime prevention in this country. This isn’t the only added service these guards provide. Most of them arrive at the beachfront at around 4am and take calls on their cell phones from surfers who would like to know the surf and weather conditions before they make the trip down to the beach. If you phone up one of these guards they will give you the wind direction, wave height and let you know if you are wasting your time or not. Most of the guards have seen some sort of violence on the job and wield batons and mace for protection. “I have been working in the area six years now and I have only had to use this hockey stick twice,” explains Joe Weideman with a weathered grin. 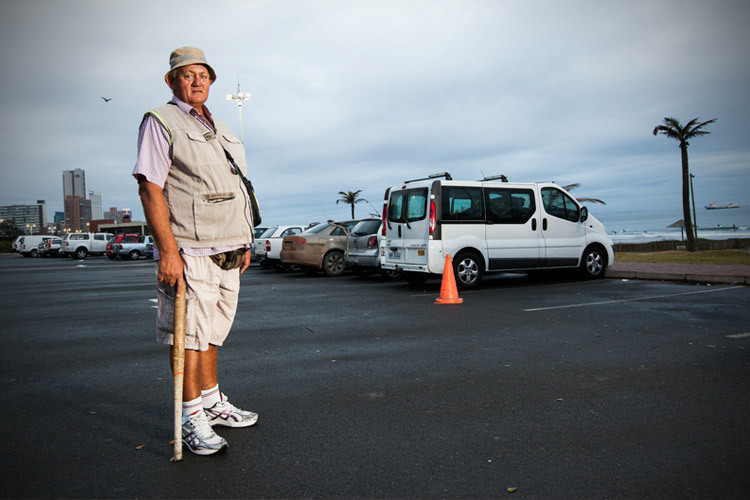 ‘Oom Joe’ works in the very busy parking lot at the end of the promenade (near uShaka), and has become a well know figure in the area. According to Oom Joe, a fellow car guard lost his life in a stabbing at Snake Park Beach parking lot, just a week prior to our interview. Evidence of the contradiction between the beautiful beaches and the dangers that anyone can encounter along the mile. The majority of the guards live in the inner city shelters. They have to make at least R35 to secure dinner, bed and breakfast. Of course the morning guards miss their complimentary breakfast because they are on the beachfront before sunrise. Most of the guards have at least four or five regular clients who phone them every morning of the week for a full surf report. One morning I phoned up Mandla Mkhize, a jolly character who works alongside Oom Joe at the uShaka parking and he gave me a detailed report, describing the wave height, quality and wind direction. After the conversation I asked him if he knew how to surf. “No, No, I can’t even swim! I am very scared of the ocean,” he said with a chuckle. Some of the guards have other income sources that have come about while working on the beachfront. Patrick Masson is one such guard. Patrick has taught himself how to repair waterproof watches and now fixes watches for one of the major surf brands in the evenings. Many years ago, Patrick worked for Telkom as a technician. His talent was unearthed when one of his regular clients challenged him to try watch repairing. Now Patrick repairs watches for many of the surfers and is well known for his excellent service. The connection between the surfers and the guards seems to have developed on a deeper level too. Oom Joe became close friends with a local middle-aged pastor who regularly bodyboarded at the beach. Oom Joe explained how they had profound conversations about life and religion before the pastor went out for his surf session. Oom Joe is full of stories; he is probably the luckiest car guard along the Golden Mile. He received a R10 000 tip from a Jo’burg holiday maker after the festive season, deposited into his account as a gift of good will. “My hands were shaking my ou boetjie!” He said as he recounted the experience. The car guards also take care of one another. Patrick Foster, an elderly, fragile guard explained how he had become very ill and was admitted to the local hospital. He started running out of money and couldn’t pay his medical bills. The other car guards in the area all chipped in to help their sickly colleague. He made a full recovery and re-joined his fellow guards a couple of months later. Many of the guards of the beachfront told me just how grateful they were towards their regular surf clients and friends for all the support and confidence shown in them. I’d like to return the gratitude to these men and women for helping make the promenade a great destination for the people of Durban. 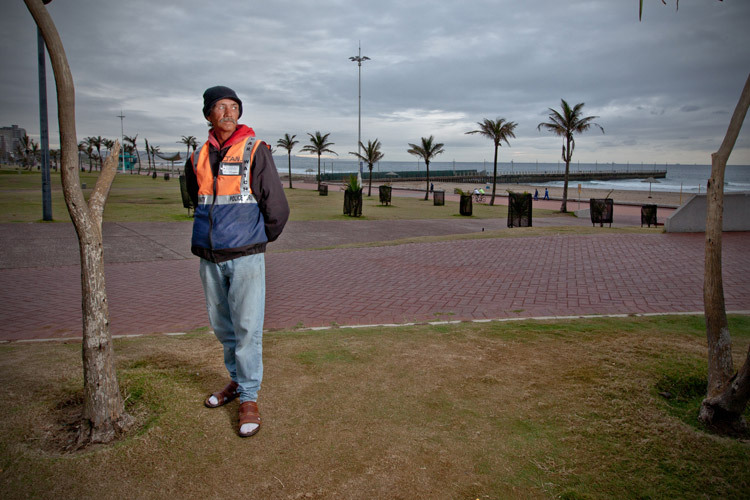 A truly amazing story… If only we had more of these inspiring people in Durban instead of all these bin kids, handicapped “NOT” at robots and car guards that run down the image of these people that show dedication and will to work and help others. Its by time these individuals are shown some kind of support as the creator to this page has done. I thank you all, as my son and friends go there and leave their skateboards, keys, cell phones and so on with them. Sean, the legend of North Beach! This is amazing!  So stoked to see some recognition, finally, for these guys and girls! These guys are so awesome!! !Johan and Jean also deserve a mention for everything they did. I’ll never forget how my dad would let Jean park his car for him when the waves were cooking! These guys are really great. I remember when I used to work at Joe Cools back in the day, I would always leave my car and my keys to even be parked by the one guy. Is there a general bank account I can donate money into for these guys? I am no longer in the country and would love to. Hey Guys if you are in the giving mood there is one guy who really needs some help. Ian (worked between Johan at North Beach and Sean behind Joe Kools and Durban Surf) had to have both his legs amputated recently as a result of gangrene. He is in Addington and not in a good way… they do a great job and every little bit helps for these guys. Theses guys are awesome! 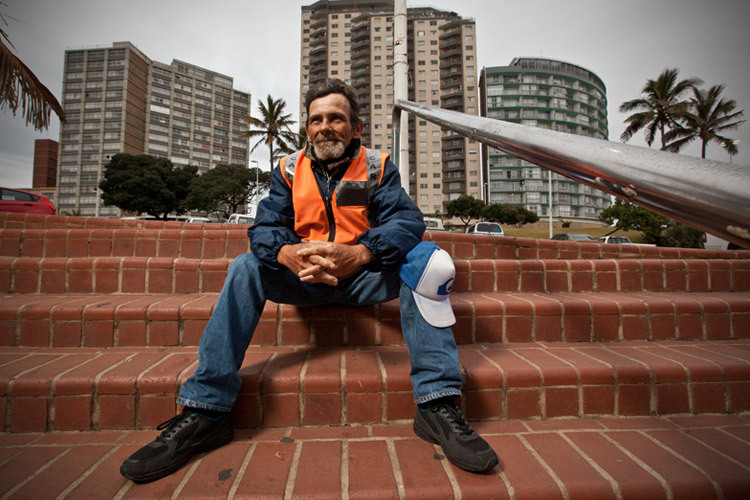 I have had the privilege meeting with Johan, from North Beach, every morning he is an incredible person and friend, who without fail updates us “Townies” at 3.30am (summer) with the surf conditions. These guys go above and beyond duties call and do so with honest intention… We are so fortunate to have them in our lives… thanks for giving them the recognition Rob! A big thanks go to the guardian angles and the 2 brothers that started it all back in 1994, when the car park was riddled with problems. It’s been a pleasure to leave my keys with you and for all those vvip parking during mr price pro and gunstan. These dudes are so rad. I also use them for security whenever i’m filming in the city or somewhere slightly dodge. These guys are the best thing since sliced cheese, as i and many other surfers along the beach front have cars that have electronic keys nowdays and can no longer just sommer put your key in your baggies, and gone are the days of leaving your keys under your car or even behind the wheel, Oom Joe is my angel, since he has been down at my special break ,which i call Bells 1, I cannot remember a day he has not been down there to assist with finding a parking or keeping my keys for me or my mates, Even a small donation is appreciated no chirp backs, and i am quite sure there are many others like me who if had the financial freedom would look after these guardian angles far more better than most other people would .God Bless you Oom . To Paul and john if memory serves me correct , started it al. What a heart warming editorial…car guards are also people lest we forget!! Very positive and inspiring story, it brings hope to our City, theres days when the passionate love affair i have with Durban can be torn away by crime corruption and negativity. Good on you for giving these people a voice and acknowledging their hard work and dedication to fighting crime. Great piece. These guys – and the ladies – embody the spirit of community. They’re Guardians, not car guards. Rob, do you know the name of the guy who was stabbed at Snake Park? Great read! So important to give voices to those who are often voiceless.